3 Bedroom Detached Bungalow For Sale in Wilmslow for Guide Price £600,000. 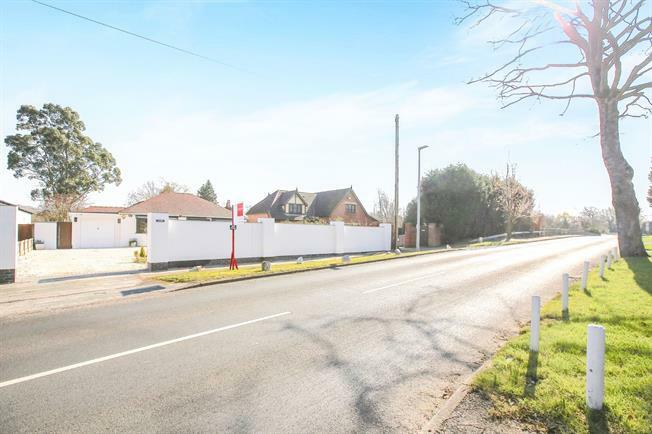 Set back from the road in a enviable plot measuring just over half an acre, this spacious three bedroom detached bungalow boasts versatile accommodation and has lots of potential for further development. Accommodation comprises three double bedrooms, an attic room which could be converted into a 4th bedroom(subject to permission), and a family bathroom with corner jacuzzi bath, separate shower and Duravit/Majestic fittings. To the rear there is a spacious open plan living/dining room with open fire, separate WC, utility room and a contemporary style kitchen. Outside the spacious rear garden leads to an addition area of land whilst ample parking is provided via a garage and large driveway.